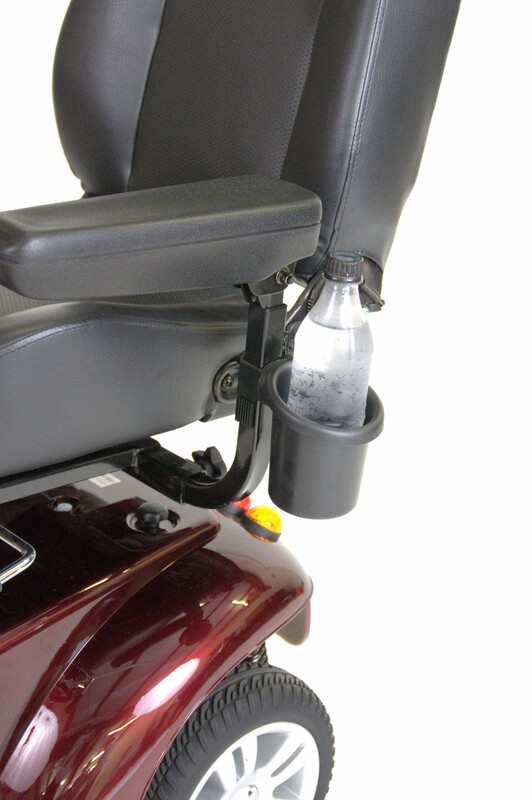 Cup holders are a feature for a wheelchair that many users could definitely use while on the go. 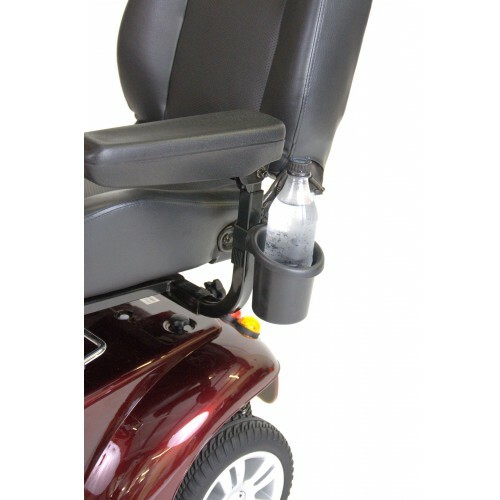 The Power Mobility Drink Holder, by Drive Medical, offers that convenience. It is a durable accessory that is easy to attach and will prove very handy during your travels. With the Power Mobility Drink Holder you can take your favorite hot or cold beverage with you anywhere with the handy hard plastic holder. This little wheelchair accessory simply fastens to the armrest bar. It will fit nearly all single-serving drink containers, including 12 and 16 ounce plastic and aluminum bottles and cans. Its diameter opening is great enough to compensate most personal insulated drink containers as well. Along with a power wheelchair, the cup holder will work for a scooter as well. The cup holder will attach in such a position so that your drink will not get accidentally knocked over, yet still be within easy reach. It easily attaches to a wheelchair or scooter armrest. It fits all Drive Medical power chairs and scooters except the Spitfire Series. It is made with hard plastic. It will allow one to hold a hot or cold beverage. How does the cup holder attach to the arm rest? Based on the instructions the holder does not attach to the armrest.